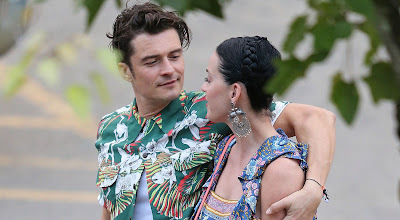 Katy Perry is focusing on three major things in her life right now which are , her health, her footwear brand and her relationship with boyfriend actor Orlando Bloom. In an interview with Footwear News Katy calls Bloom “a great anchor” in her life. “For some reason, I attract people who are really real and call me out on stuff when I’m being cuckoo,” she said. Throughout the past year she revealed that she focused on her health , spiritual and emotional well-being. “I’ve been trying to find the balance and not overindulging, just trying to stay grounded,” she told the source.